Happy New Year! The start of every year sees many people jump onto fitness plans and try to tailor their food intake towards a more healthy and clean diet. For those of you who are on a health kick (& not taking park of dryuary), we have the perfect the vitamin injected cocktail. Shake all ingredients and pour into your glass. 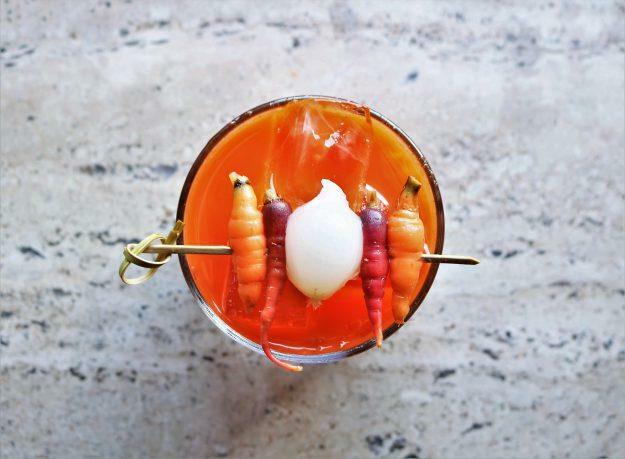 Garnish with a skewer of house pickled assorted baby carrots & pickled pearl onion.